Meet the most passionate chocolate makers and connoisseurs in Montreal on this guided, 4.5-hour, chocolate-tasting walking tour. 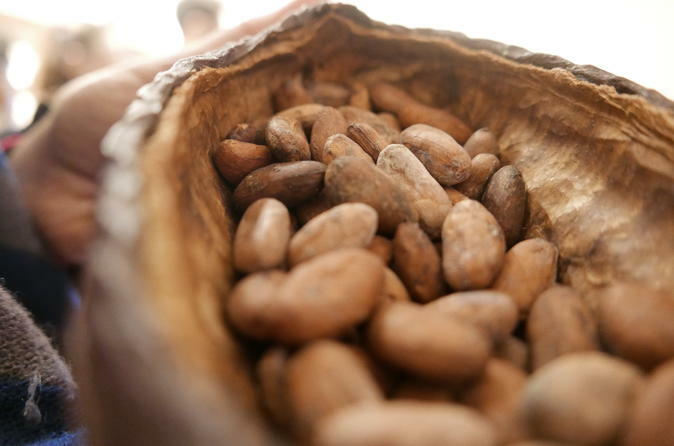 From a bean-to-bar chocolate maker, to a retailer and teacher, to a chocolatier or confectioner and a Mexican chef, learn about chocolate from all of its angles — Mesoamerican and precolonial history, colonial production, industrial production and the bean-to-bar movement. Learn the hows or whys of chocolate and develop a palette and nose eager to explore the subtleties of high-quality chocolate. This 4.5-hour chocolate tour begins at Chocolat Monarue, a bean-to-bar chocolate maker's production site. Learn about the process of making chocolate and listen to the owner's personal story. See the beans and other parts of the process that take place, all while tasting three chocolates, made mostly with single-origin beans. Afterwards, walk to La Tamalera, a small Mexican restaurant through the Mile End neighborhood. Enjoy a light meal with mole tamales and champurrado as well as an explication of chocolate in Mesoamerica during the Colonial period. Take the opportunity to meet the owner and chef of the restaurant. Then walk through the Mile End and Plateau neighborhoods with quick stops at a historic site to learn about the origins of the neighborhoods. Arrive at La Tablette de Miss Choco, a bean-to-bar boutique. Enjoy a short presentation about the industrialization of chocolate and contrast it with the recent bean-to-bar movement. Taste three very different chocolates with an explanation of how to sample them and a tasting wheel to help with the vocabulary for chocolate tasting. There will then be time to shop and ask questions. Then take a short walk to the Chocolatier Les Chocolats de Chloe and learn a bit of history of the Plateau on the way. Here, visit the production site to see how chocolate is made on the confection side, and taste three products and see how chocolate is made. During this 30-minute stop, there will be time to shop. All the establishments are presented by the owners themselves.